Ultima II Pressurized Filter VISIT OUR SHOWROOM! To support aquatic life in your backyard pond, it is essential to remove both ammonia and accumulated debris. The Ultima II filter is a great way to ensure your pond stays clean and healthy. 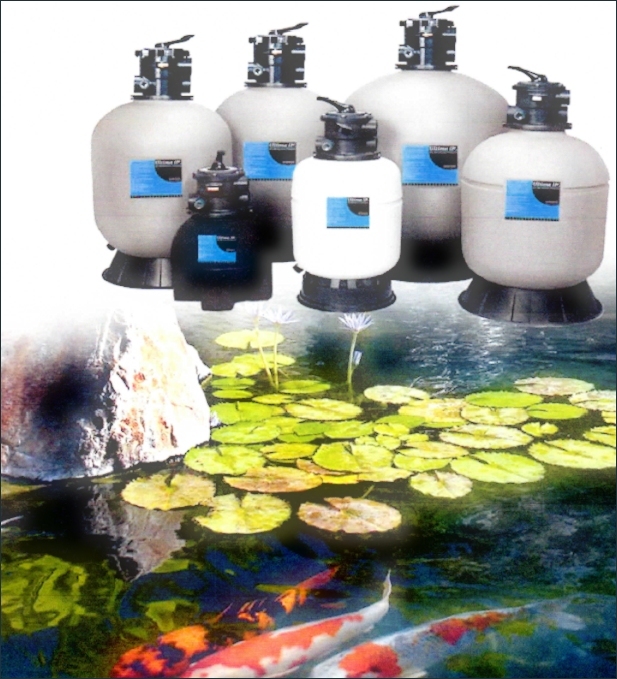 To find out more, or to see if the Ultima II pressurized filter is right for you, please contact us or visit our showroom. 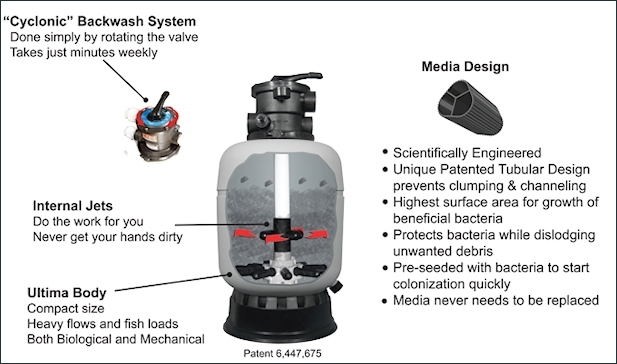 The patented media has the highest biofilm surface for bacterial growth. The beneficial bacteria convert ammonia into harmless compounds. In field and independent laboratory testing, the Ultima II filter with its patented media is the first to nitrify fish waste. The dense bed of ridged media traps solids without clumping. Internal jets in the filter are activated during the backwash, separating the waste from the media and sending it out the waste line. Backwash is performed simply by rotating the valve.